The 2+2 takes all the high-end performance of the Freedom RXV and invites more people to the party. 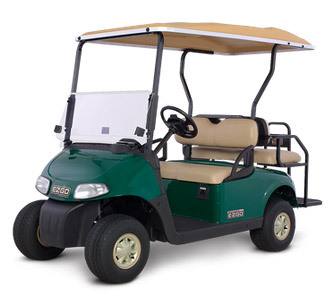 It’s equipped with a rear-facing bench seat and available with either a fuelefficient 13.5-hp gas engine or our patented, highly efficient electric AC Drive. Form meets function with a stylish look and a full complement of features.